I love 'em. Fun shoes. Last Sunday, these shoes failed me . . . I was barefoot for church. while communing with God and His followers. to have them properly repaired. I figured I could find a pair of fun shoes for less than that. 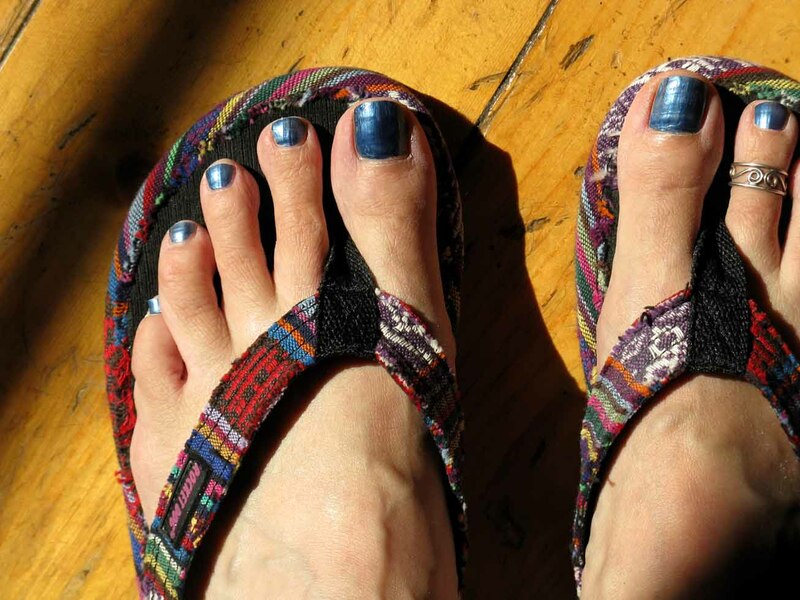 and found these flip-flops on sale . . .
the store was having a BOGO sale. 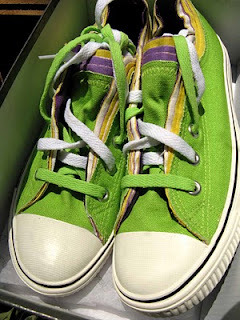 I had lime green Converse a decade ago. I had red Converse after that. for half of their sale price . 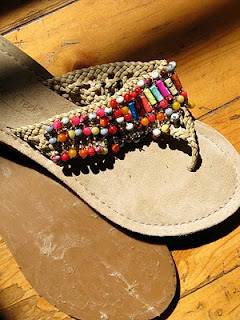 . .
To top it all, Vince says he will repair my beaded sandals.